Blog | Blog | Are You Prepared For Allergy Season? If you are among the estimated 50 million people in the U.S. who experience the unwanted symptoms of allergies, then you are already aware of the discomfort that is involved with this condition. It is also been estimated that this chronic illness results in an annual cost of over 18 billion dollars each year. Allergies are actually an excessive response from our immune system to substances that other people surrounding us might not be impacted by at all. There are various forms of allergies including food, insect bites, certain drugs inches penicillin, and substances such as latex. The most common allergies are the result of hay fever, and the term “allergy season” is often used in reference to what can occur as the result of dealing with hay fever and its symptoms. According to the Center for Disease Control and Prevention, 19.9 million adults age 18 or over have been diagnosed with hay fever within a 12 month period – which is also 8.1% of all Americans. This includes the 5.6 million children under 8 age 18 that have been diagnosed with hay fever during that time. Some allergies can occur year-round and can also be referred to as perennial allergies. These can take place after being exposed to airborne substances such as pet dander, mold, mildew, and dust mites. However, hay fever – which is also referred to as allergic rhinitis – is a seasonal allergy. 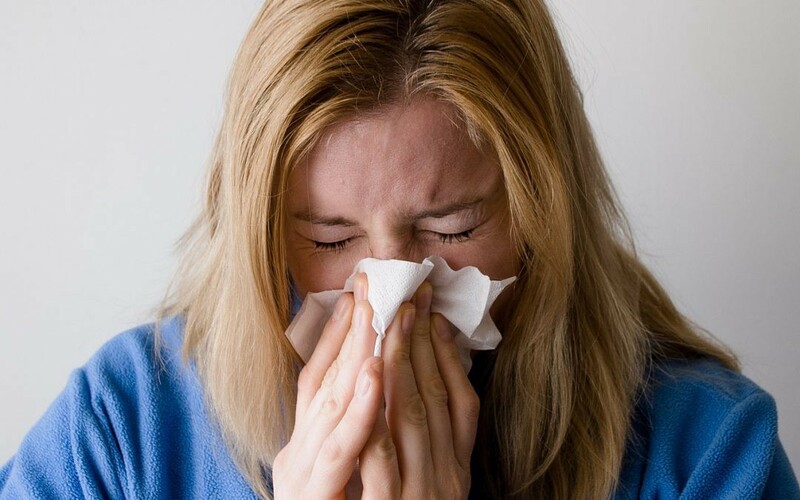 Anyone who has experienced the symptoms of hay fever may prefer not to think about the runny nose, itchy, watery eyes, sneezing, coughing, nasal congestion post nasal drip and fatigue that can all result from being confronted with hay fever. But it can still be helpful for you to be realistic about the return of allergy season, and to understand both why and when it takes place. Hay fever is triggered by allergic sensitivity to pollen, which is also among the most common allergens in the U.S. Around 81% of those who deal with allergies are allergic to pollen, and the pollen counts rise to the highest levels during the spring, summer, and fall. That is when this allergen emerges from trees, grass, and weeds, and is then transported through the air by wind. The majority of pollen allergies occur in the spring, with trees often emerging as the culprit. Pollen can increase in the grass during the hot days of summer, while ragweed can become more problematic during the fall. It can be beneficial to watch the pollen counts during the months in which a higher level of pollen is more likely to occur. You can also close all windows during the periods of high pollen counts, and wear glasses when outside in order to reduce the amount of pollen that is impacting your eyes. You are more likely to experience the symptoms of hay fever if you have asthma or eczema. This is also true if you have parents or siblings that suffer from allergies, or if your mother smoked prior to your first birthday. If you are contending with the unwanted symptoms of perennial allergies that were mentioned earlier (pet dander, mold, mildew, and dust mites), there are also steps that you can take in order to combat troublesome discomfort including washing your hands after you touch your pets, and keeping your pets out of your bedrooms when you are attempting to sleep. You should also wash your blankets and sheets in hot water, use pillow covers and mattresses that are dust-mite proof, and reduce the humidity levels where you live by using a dehumidifier. If you have been contending with the symptoms of hay fever and there is no improvement with your discomfort, then you should visit a doctor. This is particularly true if your symptoms not only are persisting, but they are impactful enough to significantly decrease the quality of your day to day living. Your doctor can determine what type of allergies you are contending with based upon your specific symptoms, and what causes them. You should also consult with a physician if the allergy medications or remedies for discomfort that you have taken are not making the situation better. This includes nasal sprays, saline mists, antihistamines, decongestants, and any herbal remedies. Your physician might eventually refer you to an allergist since this is a doctor that specializes in treating allergies. Your allergist might conduct testing to determine precisely what is causing your issues. If you are contending with discomfort ant the symptoms that were discussed due to allergies, if you have any other issues, or simply have a question or concern about your health, do not hesitate to contact us at Rapid Med Urgent Care Center.